Some products are dangerous because they are defective. On the other hand, some products are dangerous because they are intentionally designed that way. In one such case analyzed recently by the United States Consumer Products Safety Commission, the makers of a crossbow have agreed to recall their device to prevent accidental injury. As our Boston defective products attorneys can explain, even though some projects are inherently dangerous, that does not mean the makers cannot be held liable if there is injury that occurs when the device is being used as it is intended. In other words, if you are trained in how to use a weapon and are using it properly and it explodes, you should contact an experienced products liability attorney to see if you are entitled to a full and appropriate financial recovery for your pain and suffering and other losses. In this case, there has been one report of an injury to a victim’s hand. 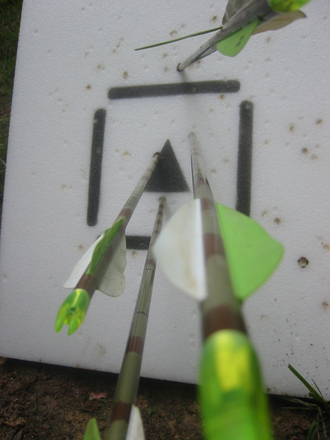 The sensor that is supposed to determine if the bow is loaded properly has been shown to malfunction. If this occurs, the user will think the bolt (crossbow arrow) is properly loaded when it is not. This can result in the bow discharging accidentally injuring the user or another person near the shooter. There are several models of crossbows that are subject to this recall the company, and the federal agency urges all owners not use the weapon until it can be replaced or repaired. The repair is accomplished by replacing what is known as a trigger knock sensor. There are about 3,330 crossbows affected by the manufacturing defect, and, in addition to the one injury reported, there have been other reports of accidental discharges. Another example of a product that is dangerous as designed is the gas-powered chainsaw. When used properly, it is relatively safe. However, workers could still be injured, and there is not much one could say to the company unless the company knew or should have known that it posed a particular risk of which workers would not be aware. We also see dangerously-designed products mining operations, such as with a shape charge. When workers are in a salt mine, they will use a large drill to bore deep holes in a wall of salt and then insert shape charges into the holes. They will then detonate all of the charges in a particular order, and the wall will collapse in a relatively controlled manner. While the workers are properly trained and certified and get back a safe distance to avoid getting hurt or killed, there is no getting around the fact the demolition shape charges are dangerous. They were designed to explode with great force. Regardless of whether a product is dangerous as designed or is defective, our experienced Massachusetts product liability attorneys can help you determine the best course of legal action.